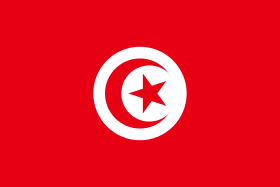 The Tunisian Handball Federation (French: Fédération tunisienne de handball) (FTHB) is the national handball association in Tunisia. FTHB organizes team handball within Tunisia and represents Tunisian handball internationally. The federation is a member of the African Handball Federation (CAHB) and the International Handball Federation (IHF). The president of FTHB is Karim Hleli.